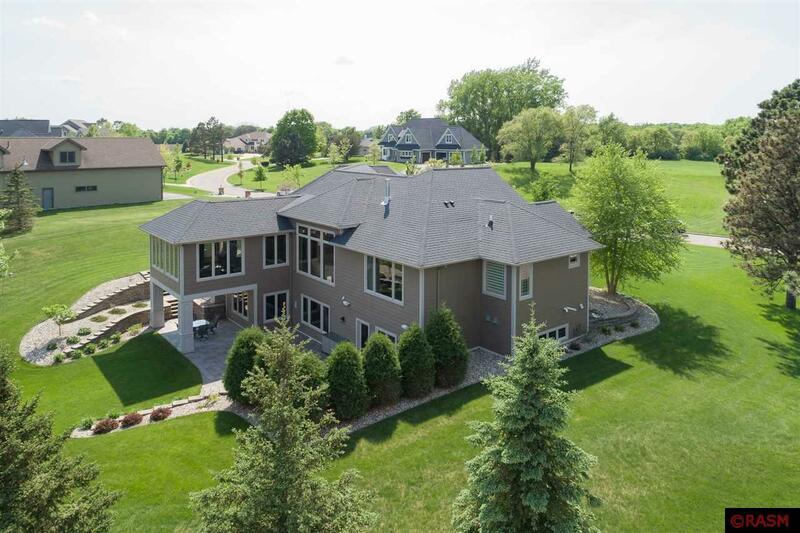 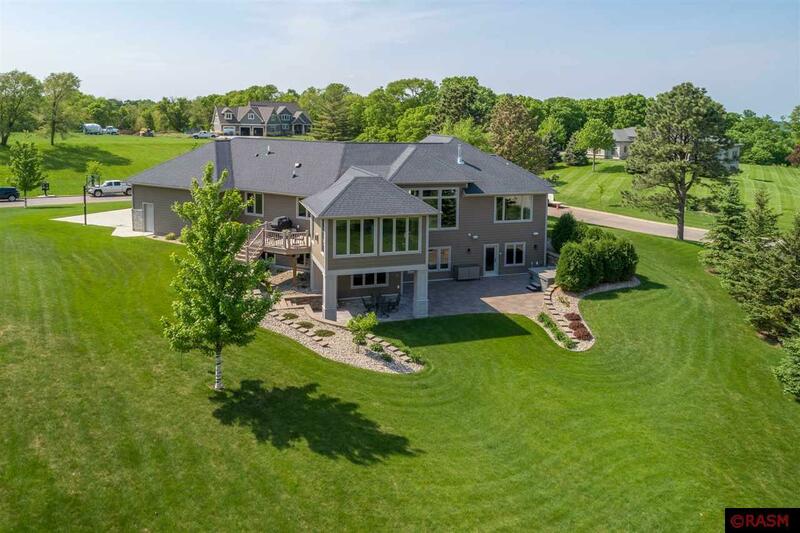 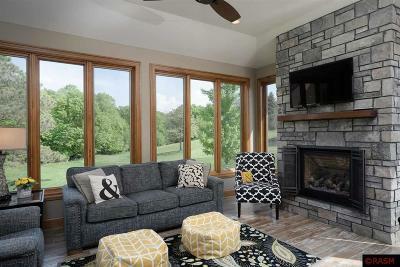 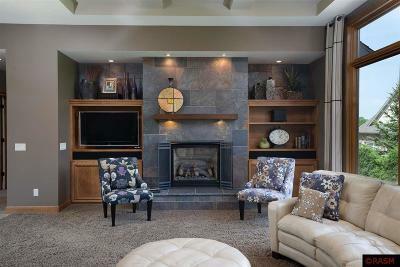 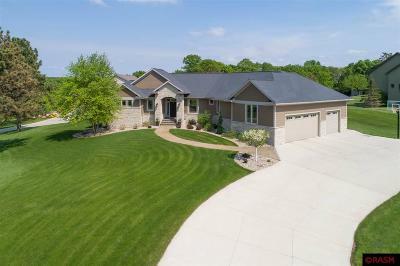 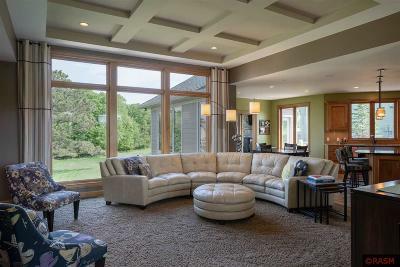 This stunning home was built with the outdoors in mind as sprawling entertaining spaces flow outside to the 1.3 acres. 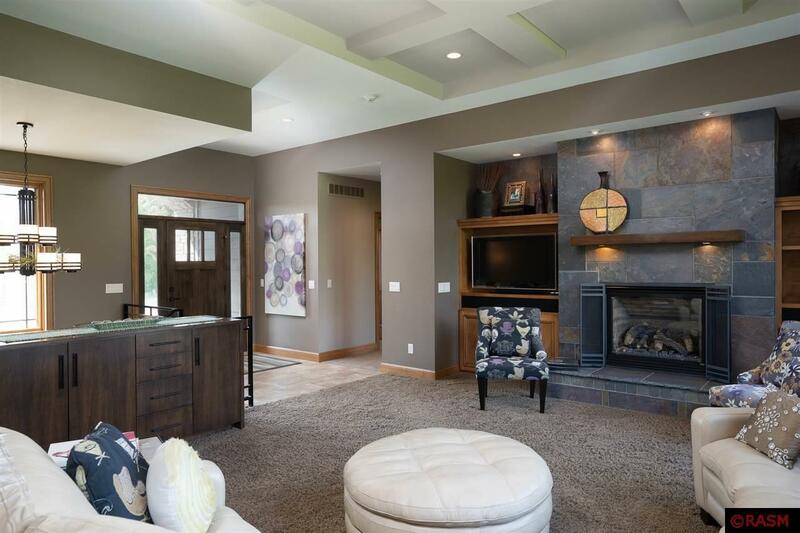 As you walk through the front door, you are greeted by a large living room that offers soaring 12' coffered ceilings and custom built-ins on each side of the floor to ceiling fireplace. 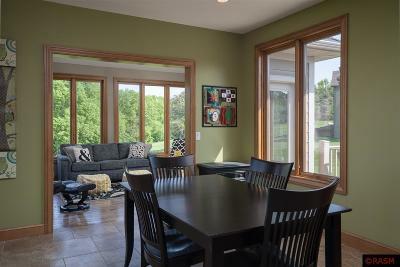 Large windows throughout the home overlook the well-manicured yard. 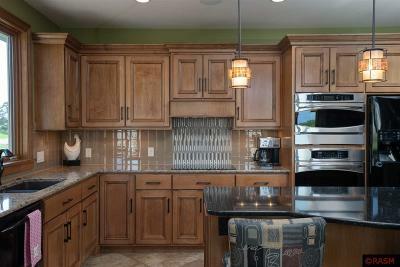 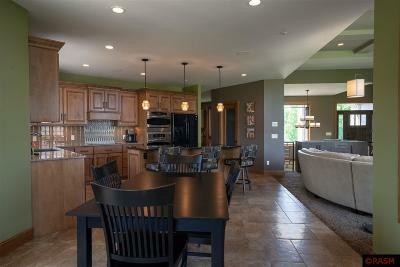 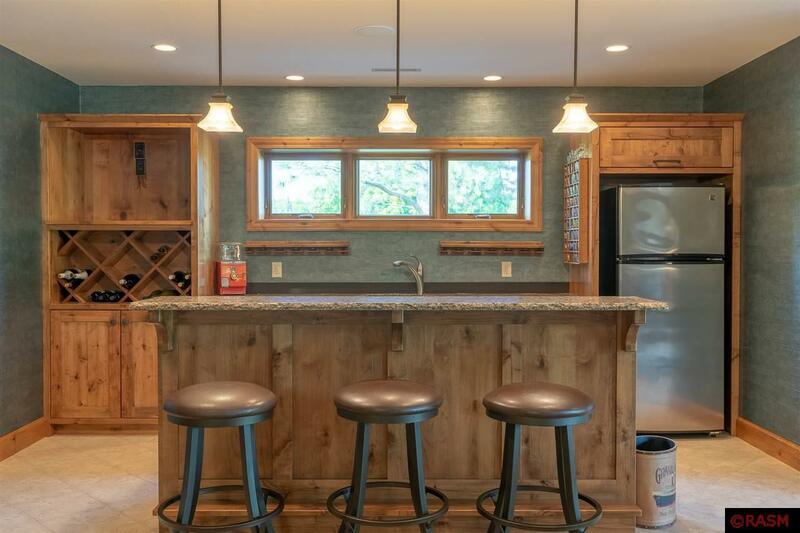 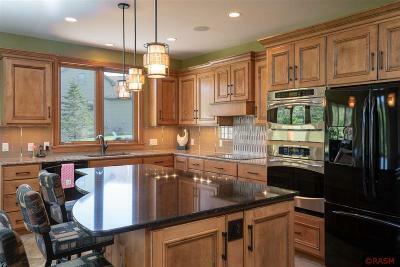 The living room flows into a cooks kitchen with an expansive maple island and adjoining dining area. Next, you'll enter the sunroom which has a beautiful stone fireplace and hardwood floors with an entrance to the maintenance free deck. 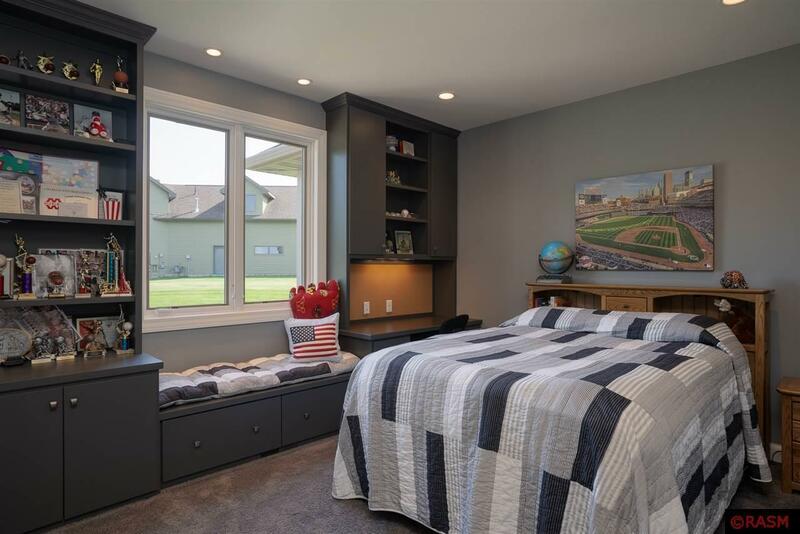 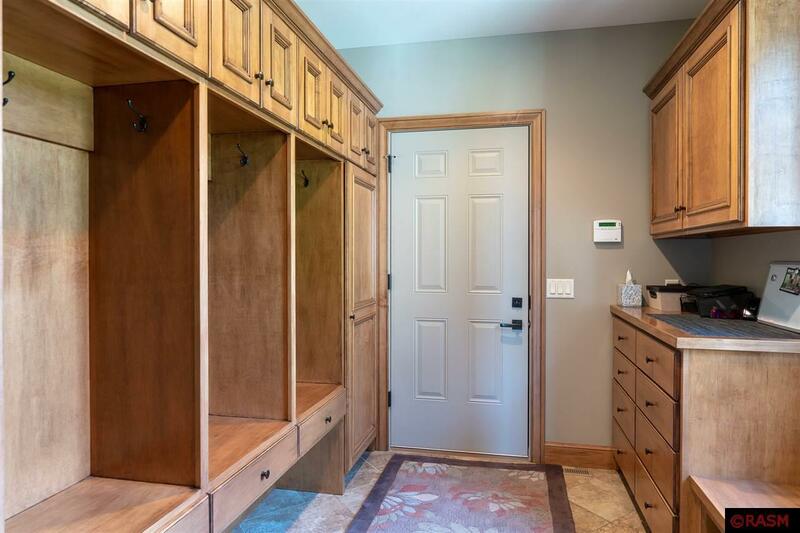 The main floor features the master bedroom with a huge walk-in closet, and for your convenience, there's an entrance to the laundry room from the closet. 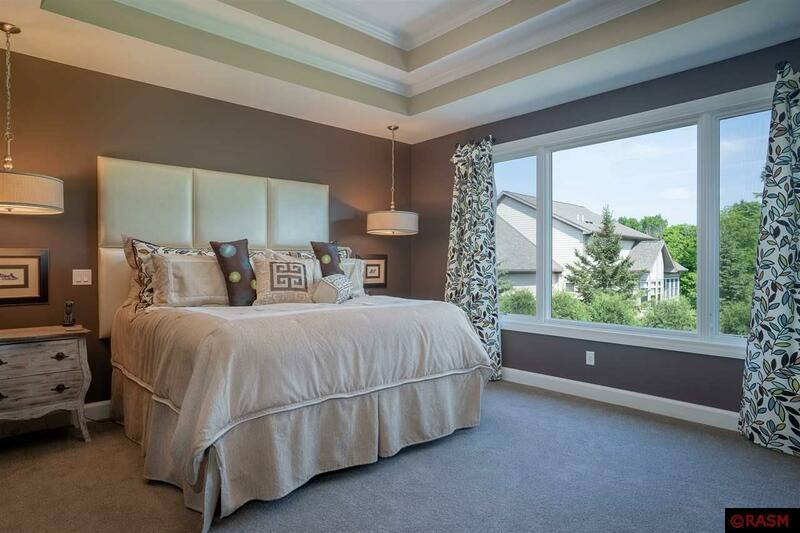 You will find another bedroom with built-in desk and window seat on the main floor next to the bathroom. 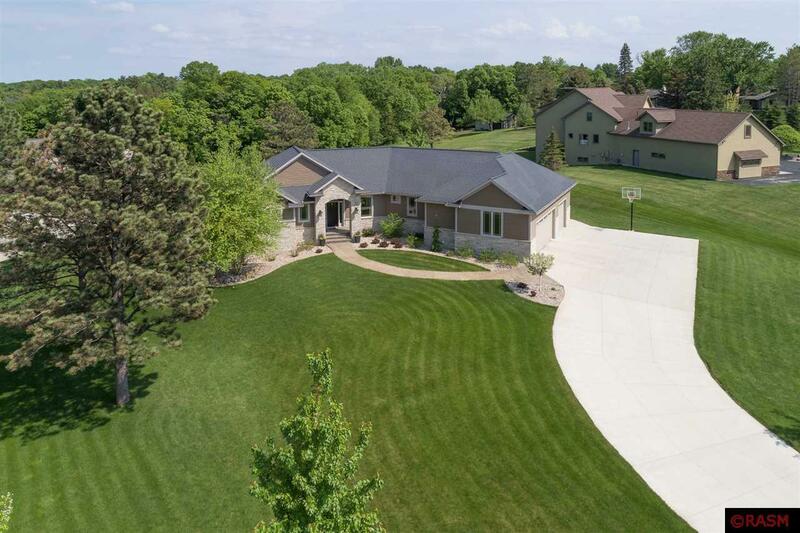 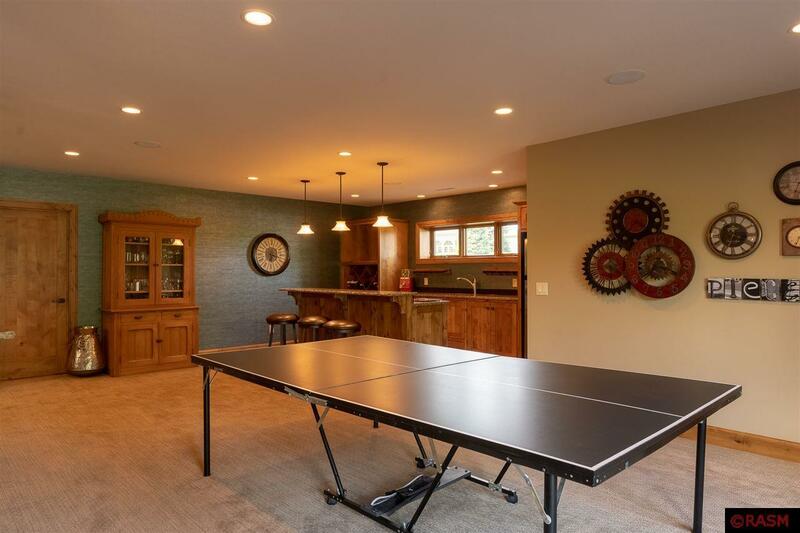 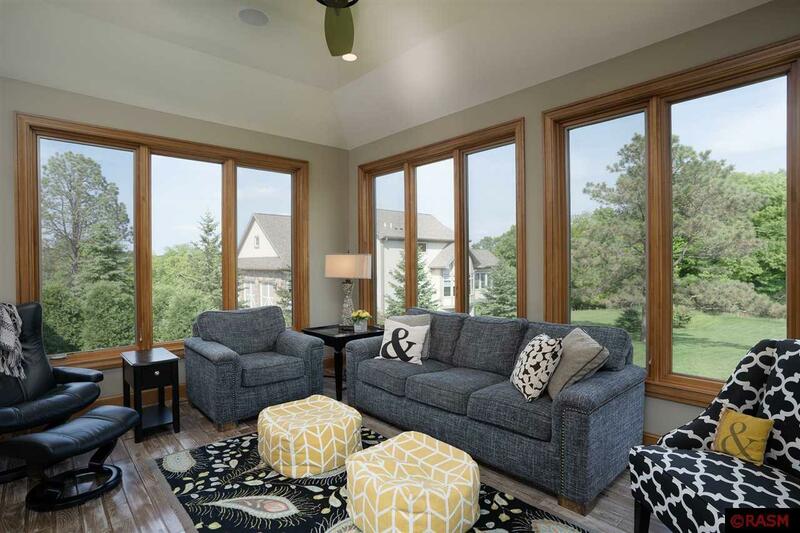 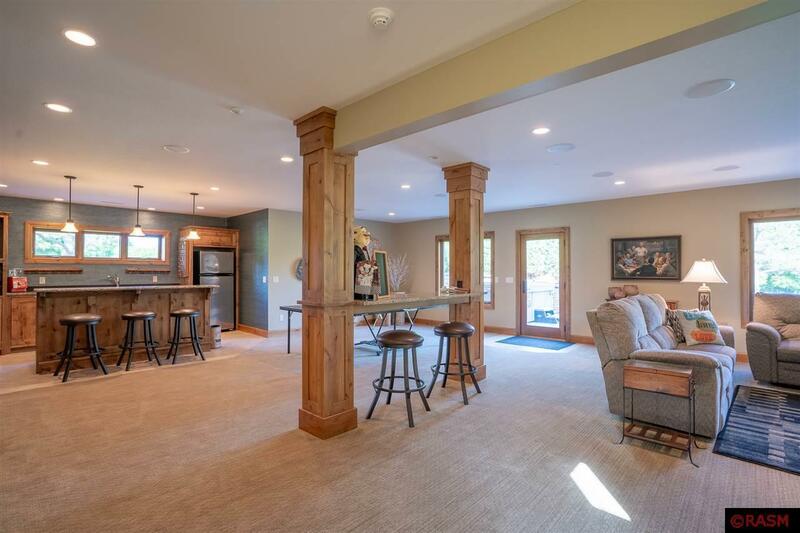 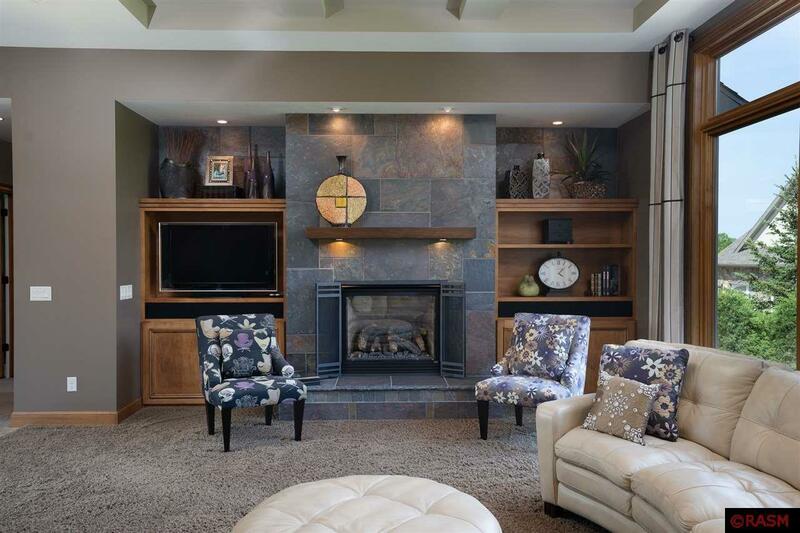 In the lower level, you'll find the perfect place to entertain with a large family room which includes wet bar and stone fireplace with custom built-ins. 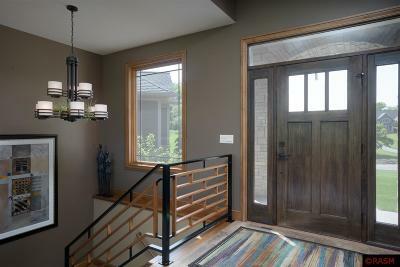 Walk out to your beautiful patio and backyard from the family room. 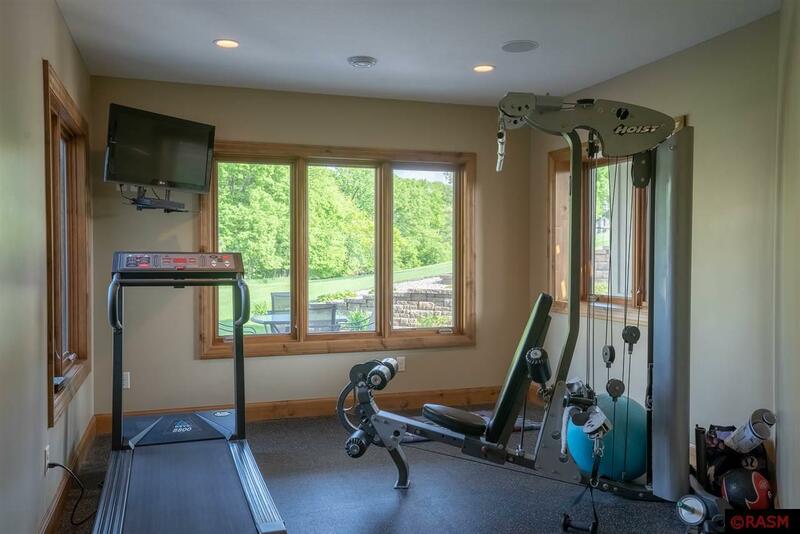 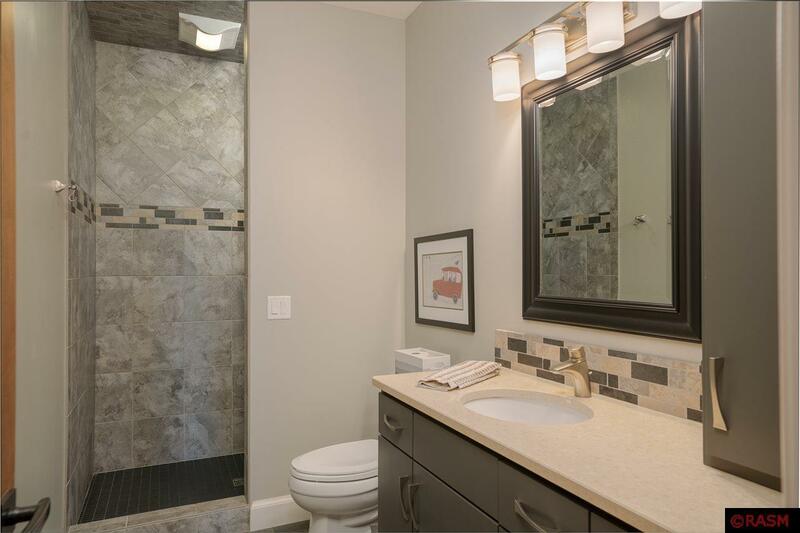 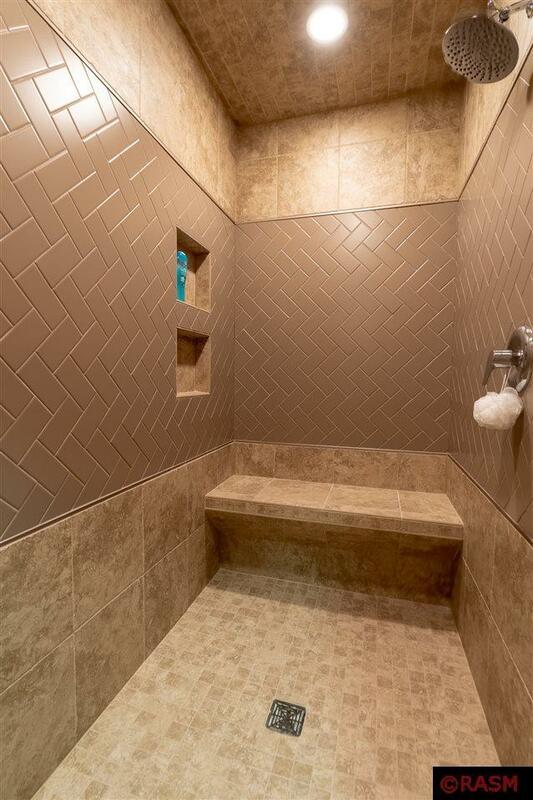 An exercise room, bathroom with steam shower, two additional bedrooms and storage room complete the lower level. 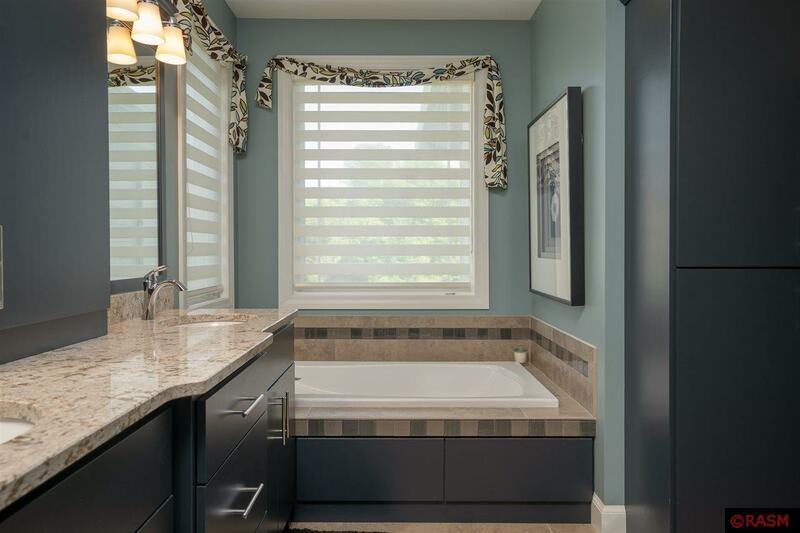 Interior finishes include Cambria countertops in all areas, ceramic tile, glazed maple cabinets and coordinating millwork. Additional features of this home: Geothermal heating and cooling, central vacuum system, surround sound, in-floor heating and steam shower. 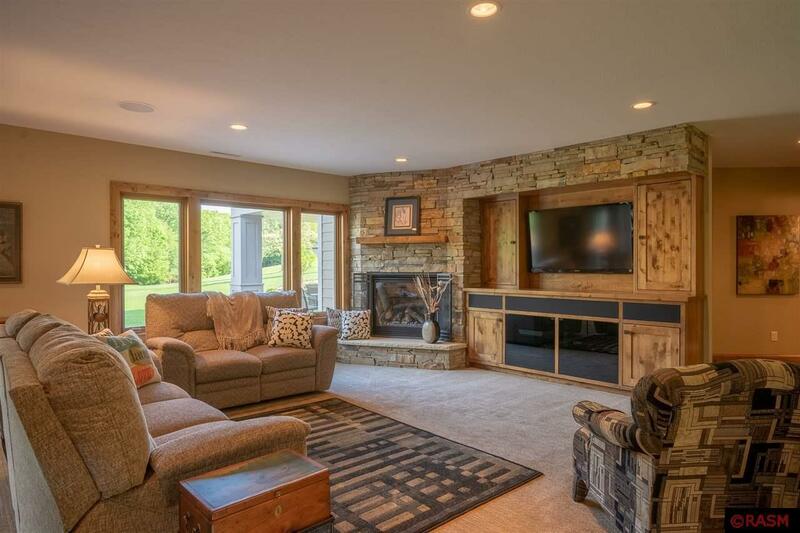 There is so much more to see in this gorgeous home. Call for a showing appointment!